After the adverse ruling in Janus v AFSCME, it is up to all of us to ensure a stronger union. This includes making sure your coworkers are members. Watch this video to learn just how important being a member is and make sure you share it with your coworkers. The labor movement thrives because of its members. 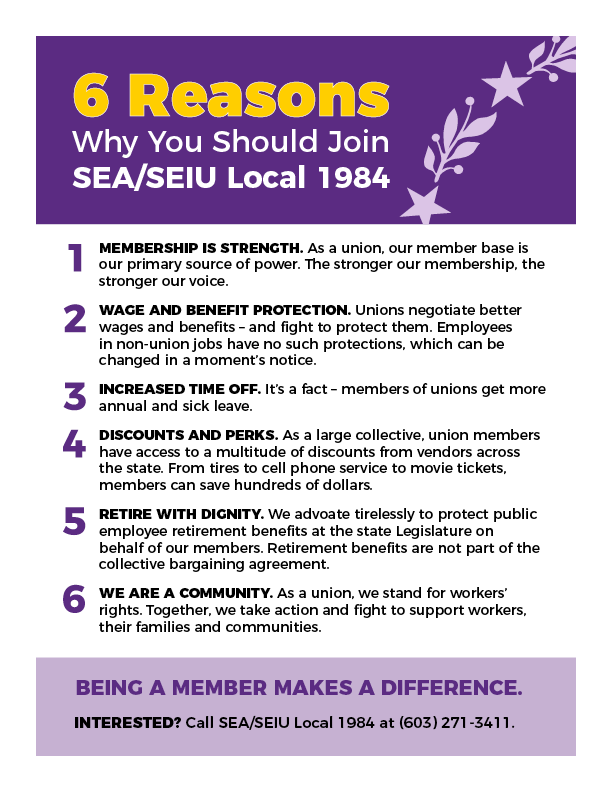 Without members, there is no union. There are many reasons to join us, below are just a few.